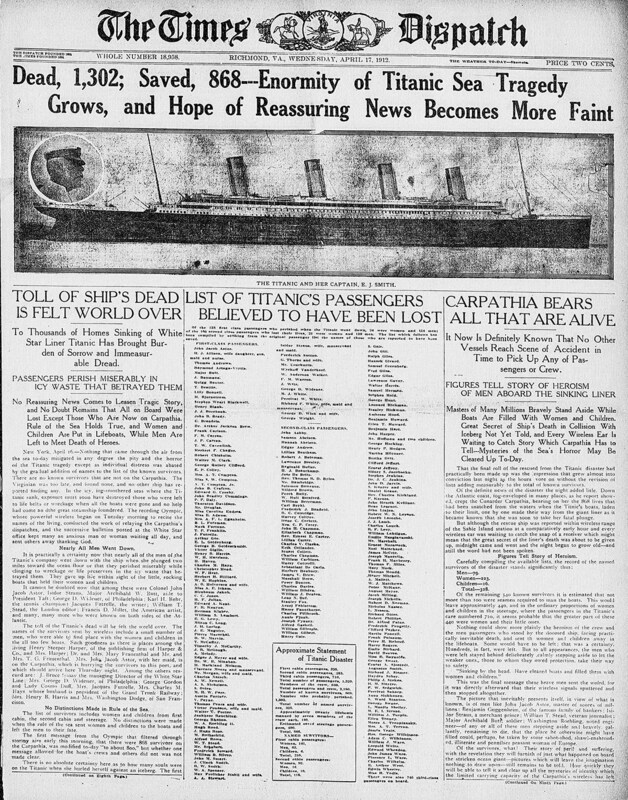 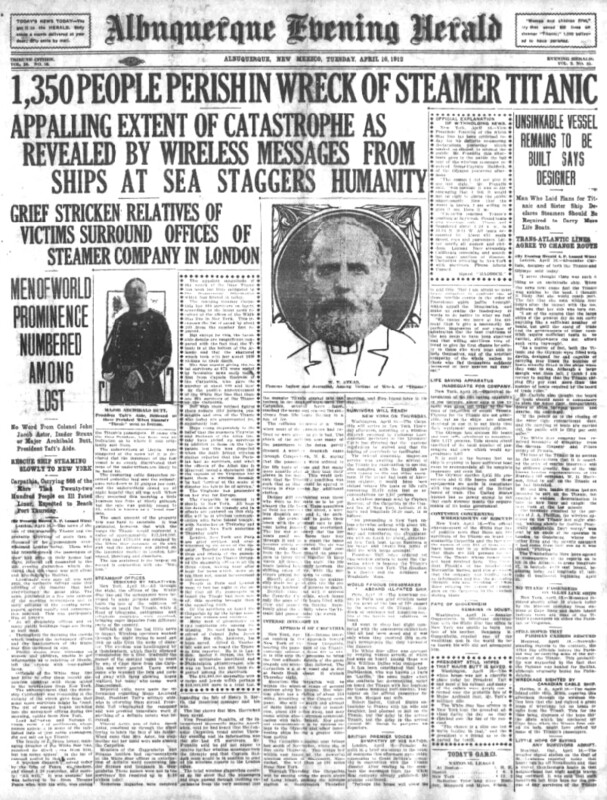 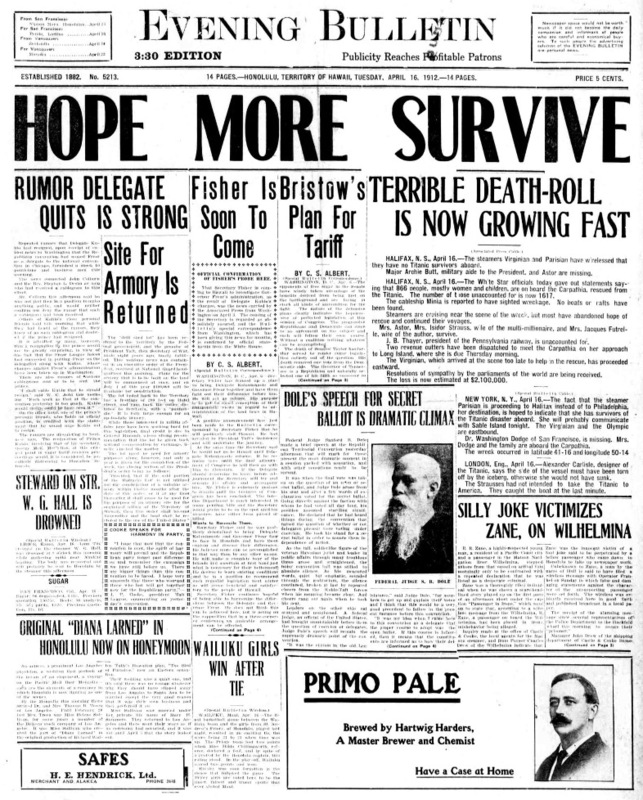 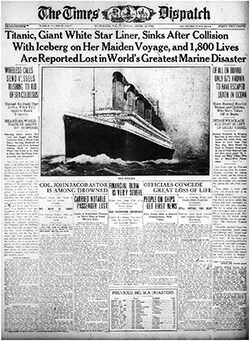 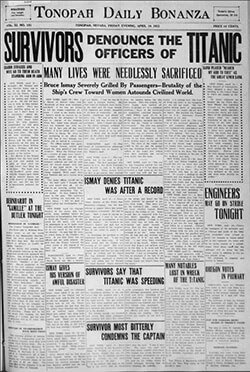 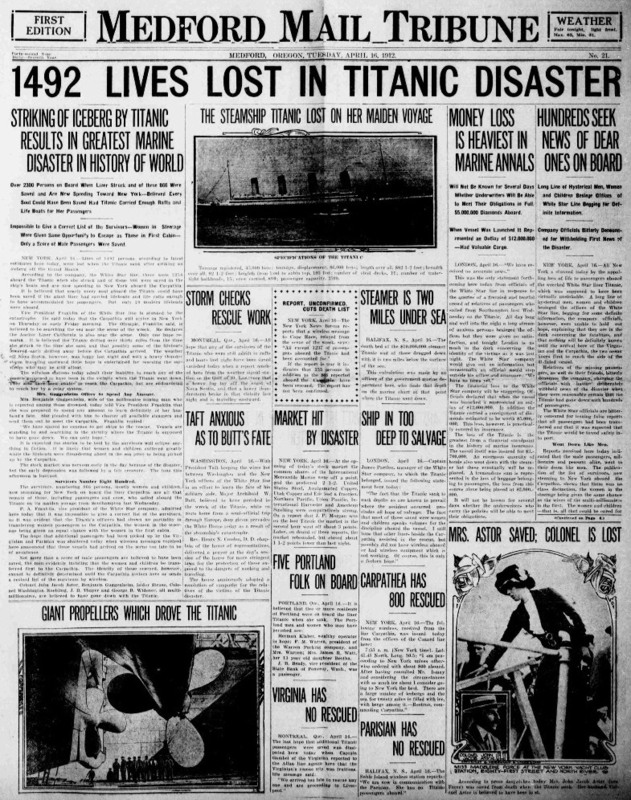 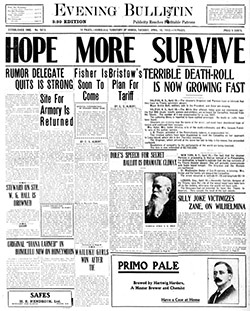 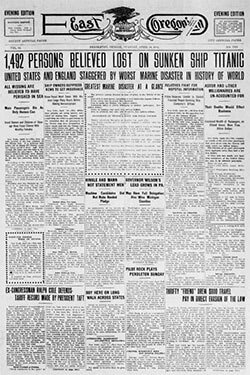 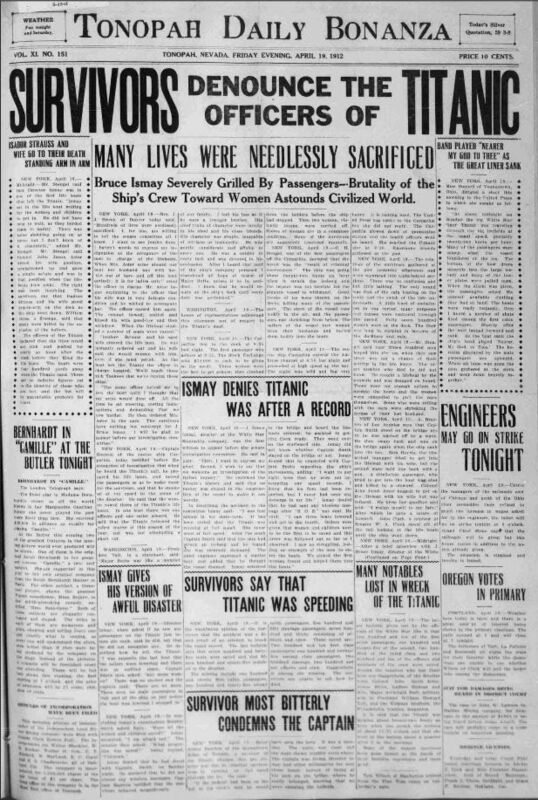 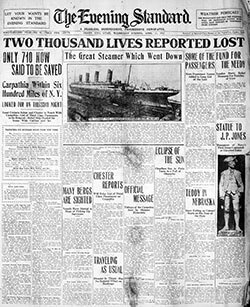 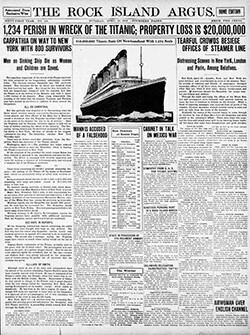 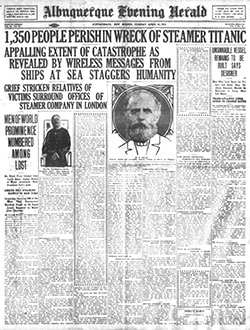 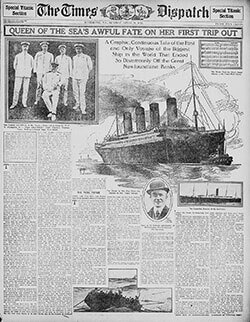 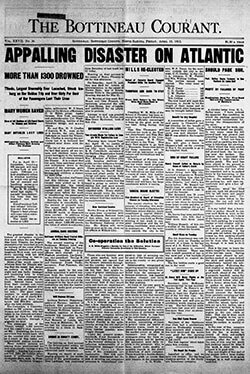 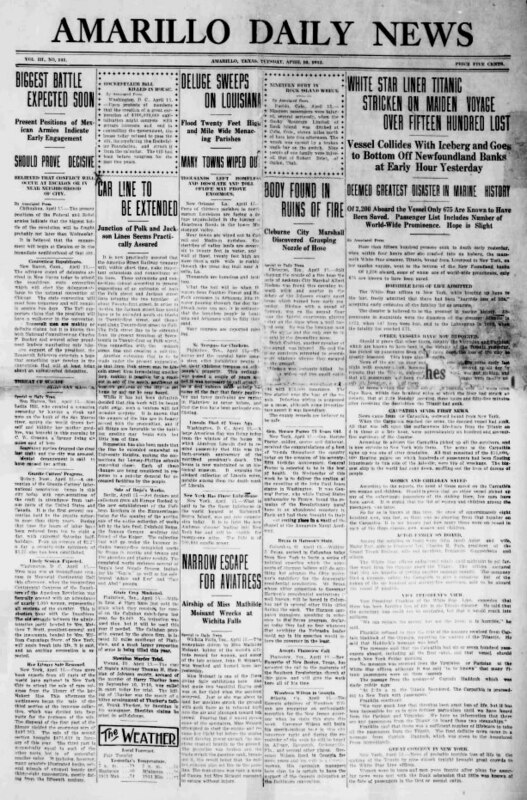 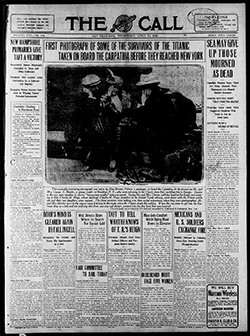 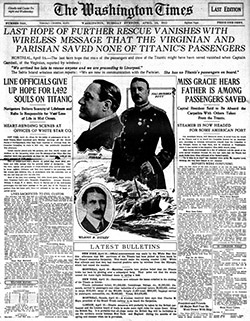 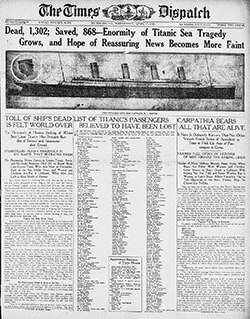 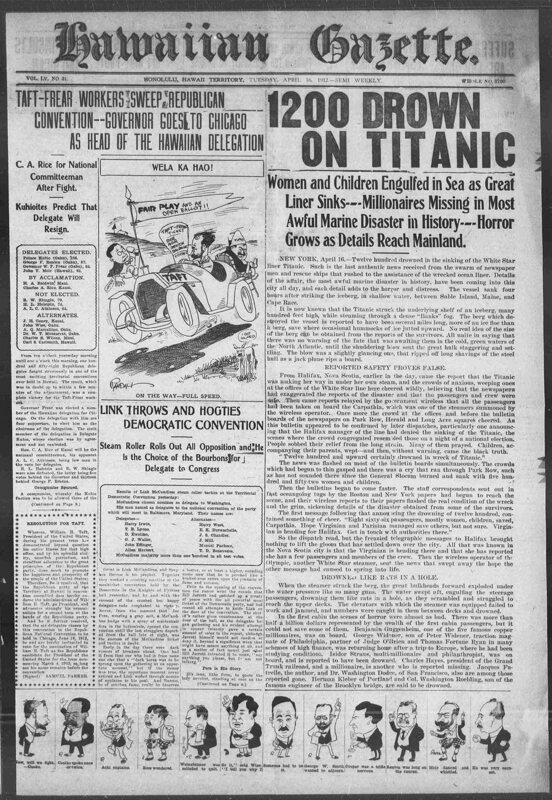 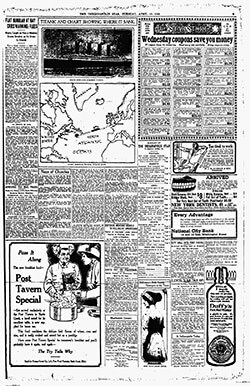 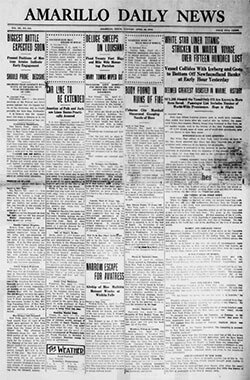 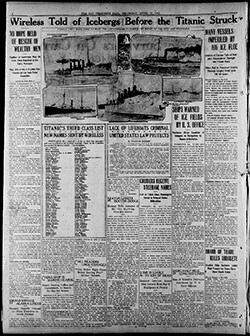 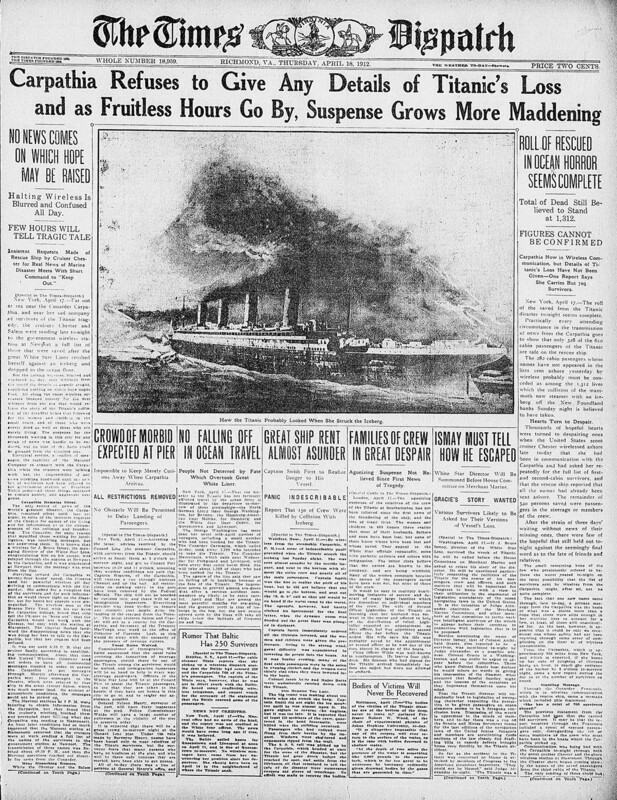 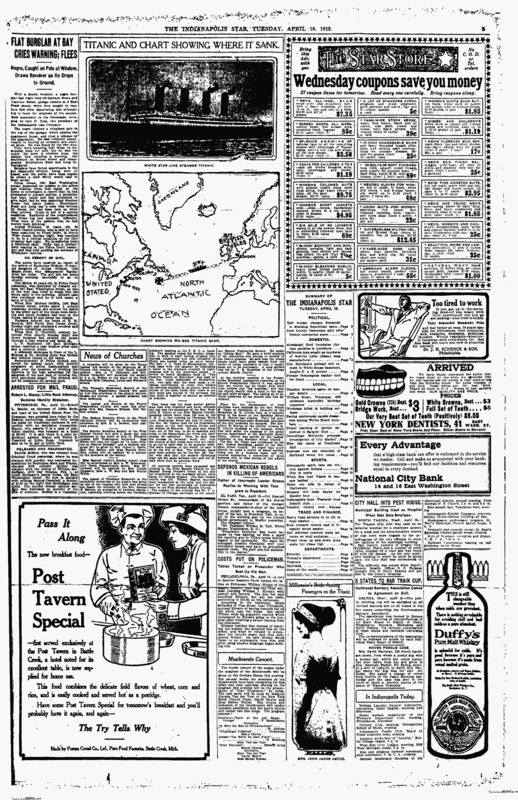 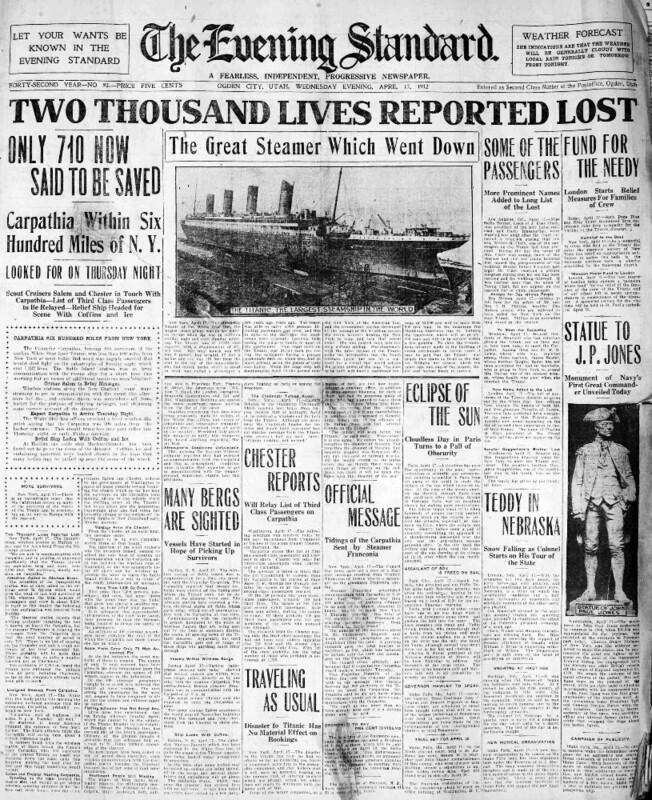 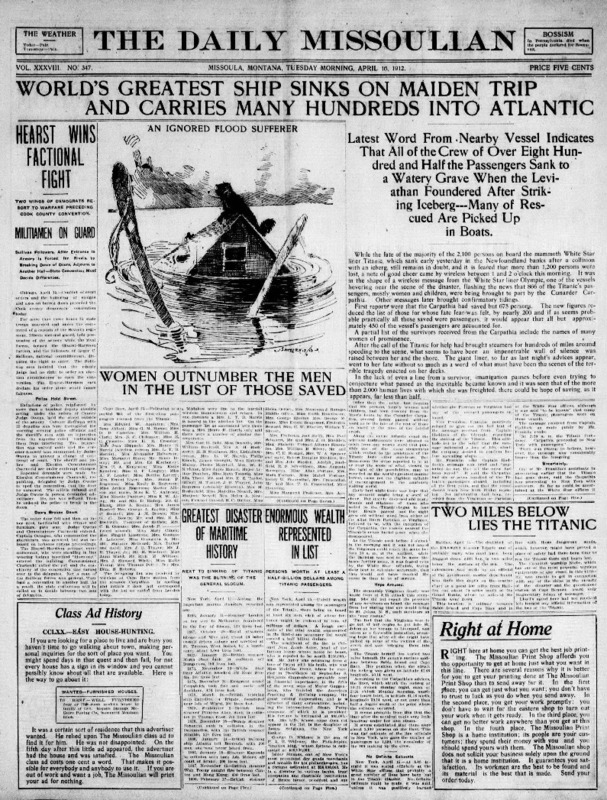 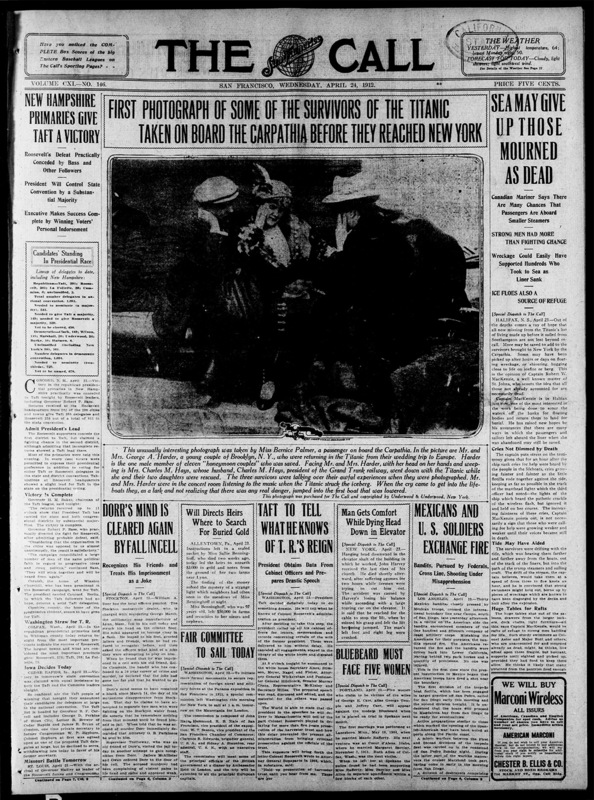 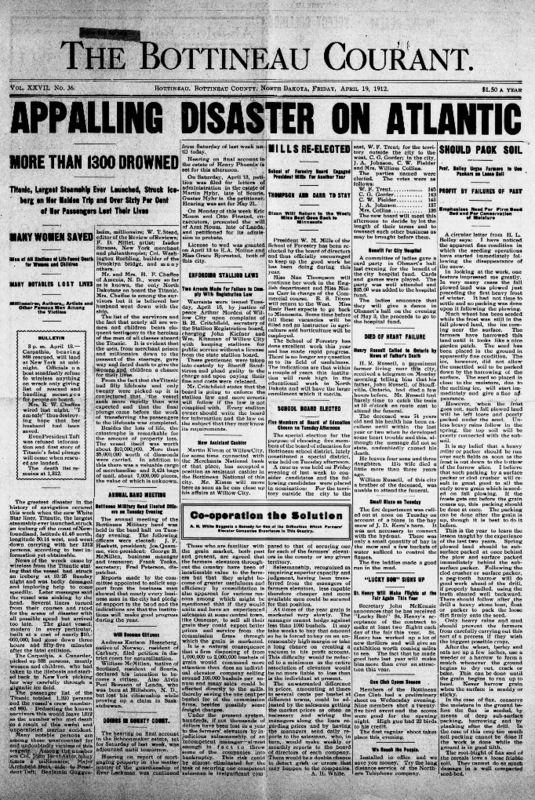 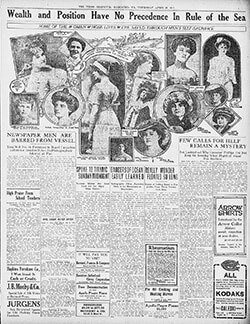 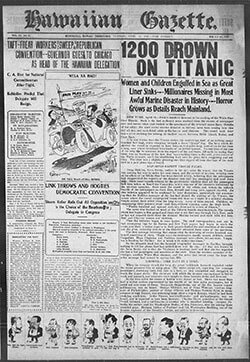 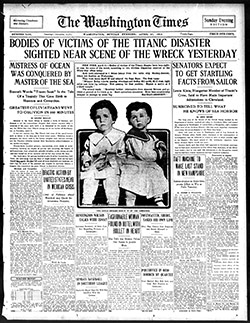 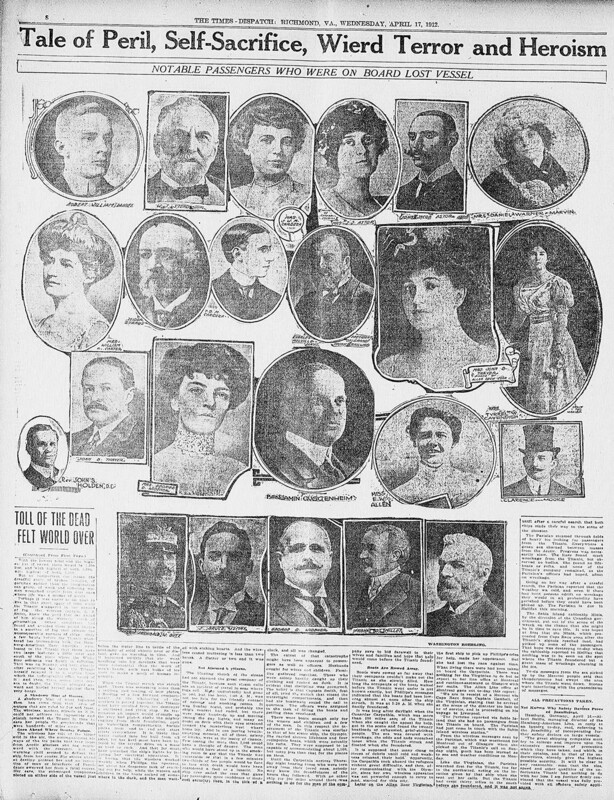 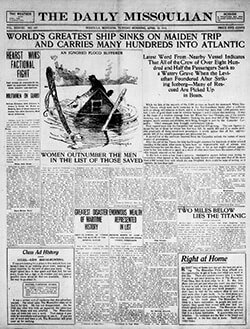 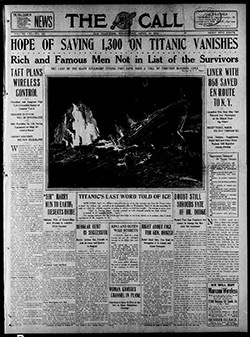 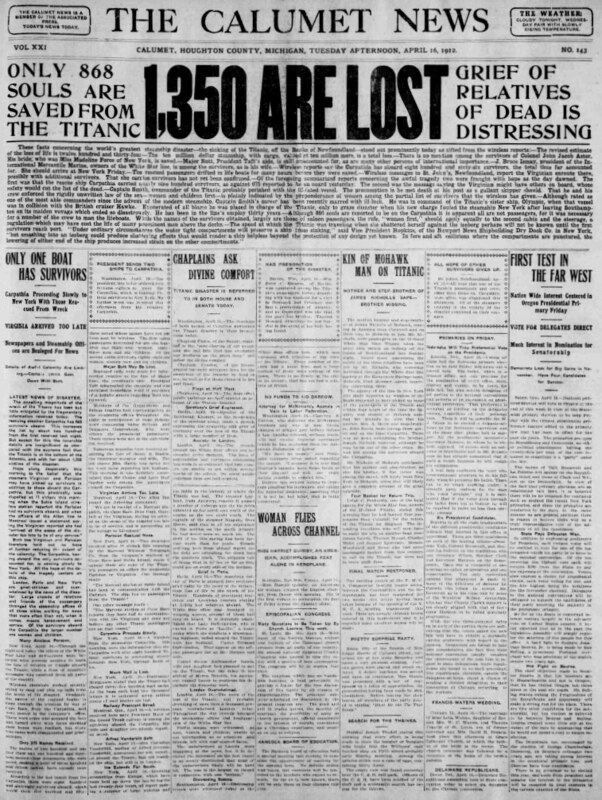 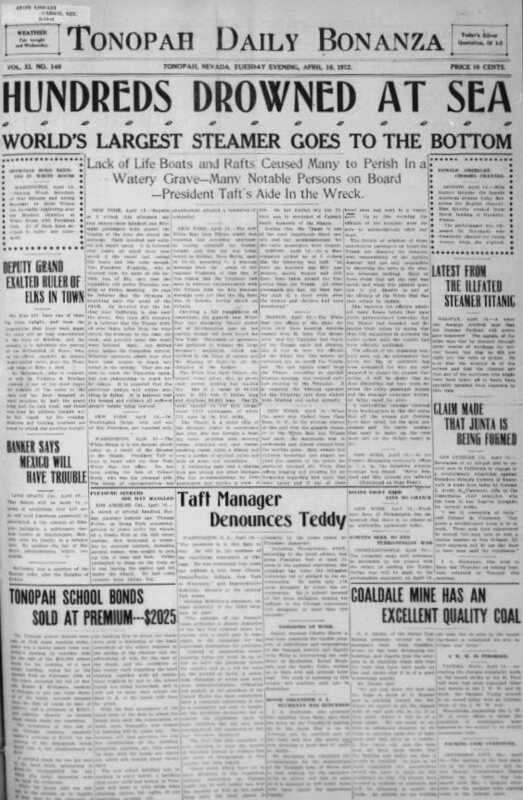 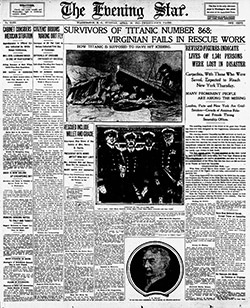 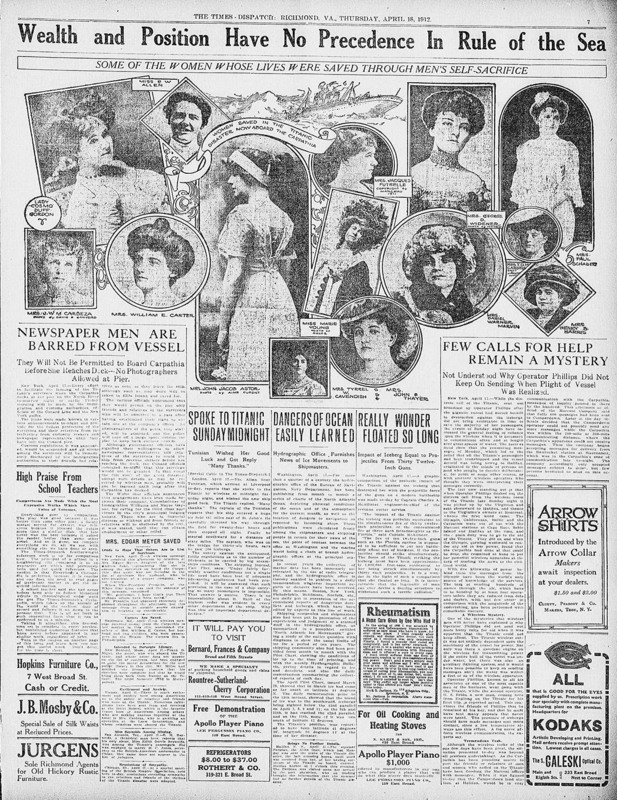 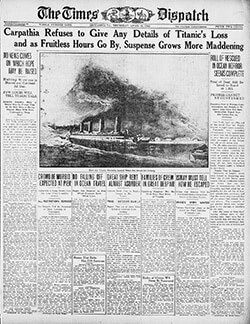 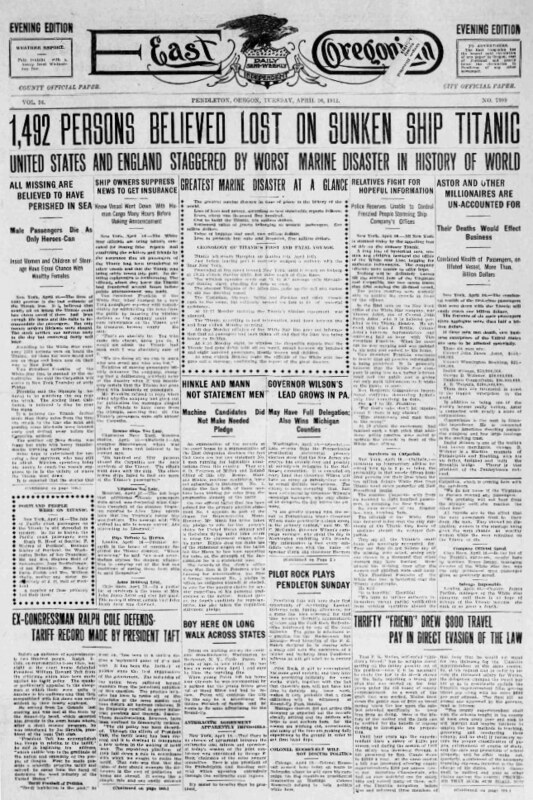 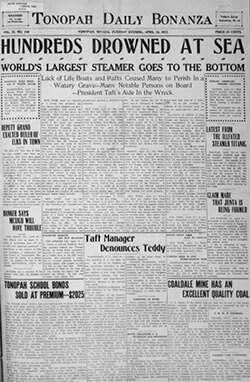 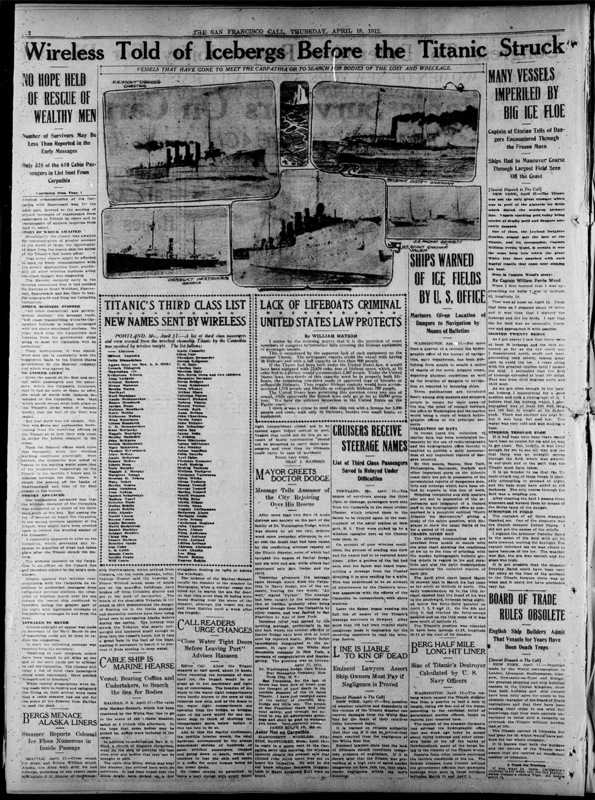 Most people know the basic details of the Titanic disaster, but fewer have examined the first-hand sources for the array of evolving reports, fevered dispatches, and poignant human-interest stories that filled columns and columns of newspapers in the immediate aftermath of the tragedy, and in the days and weeks to follow. 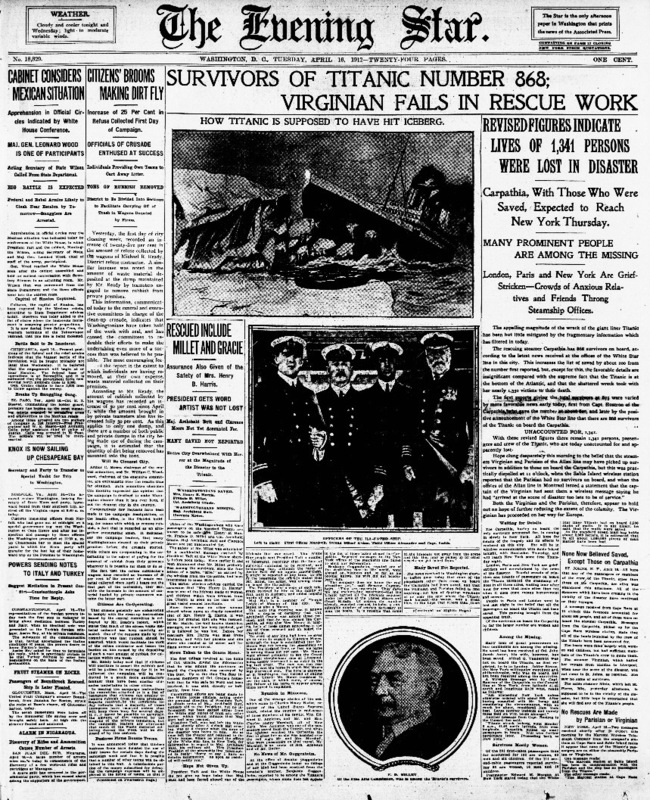 If curious, one can find how the people of Virginia, the United States, and the world learned of the disaster through contemporary press accounts. 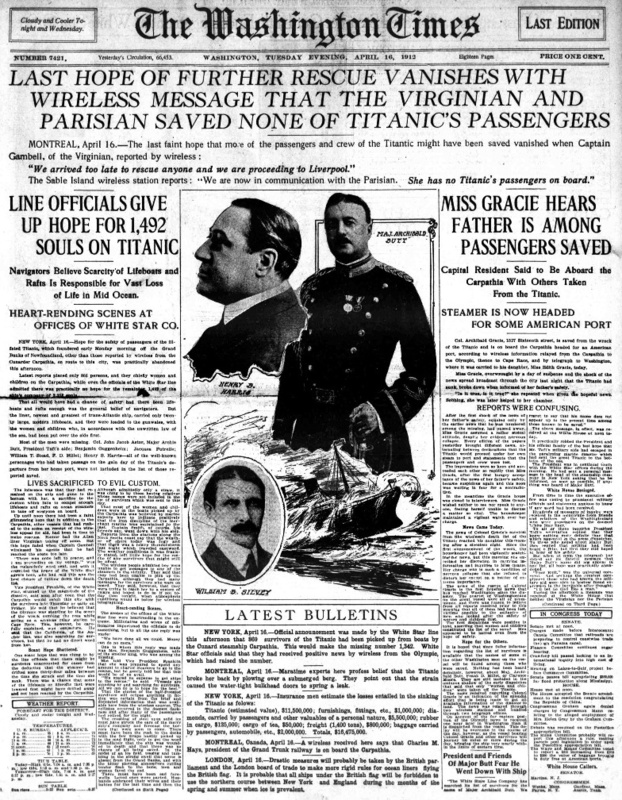 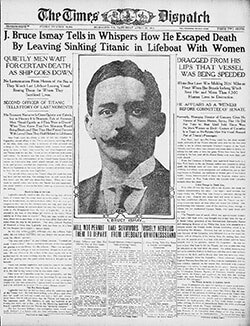 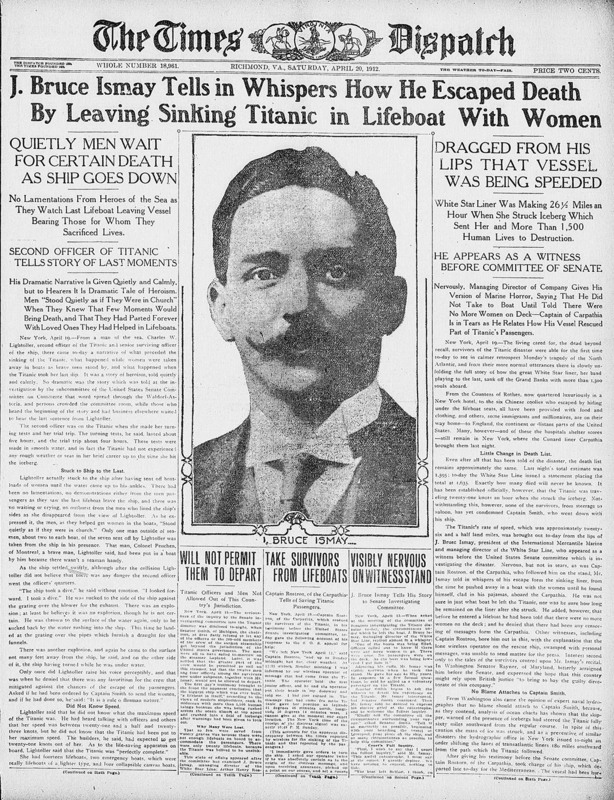 Newspapers and the public, alike, were fascinated by the Titanic because it revealed the full breadth of human potential for bravery, self-sacrifice, cowardice and willful negligence. 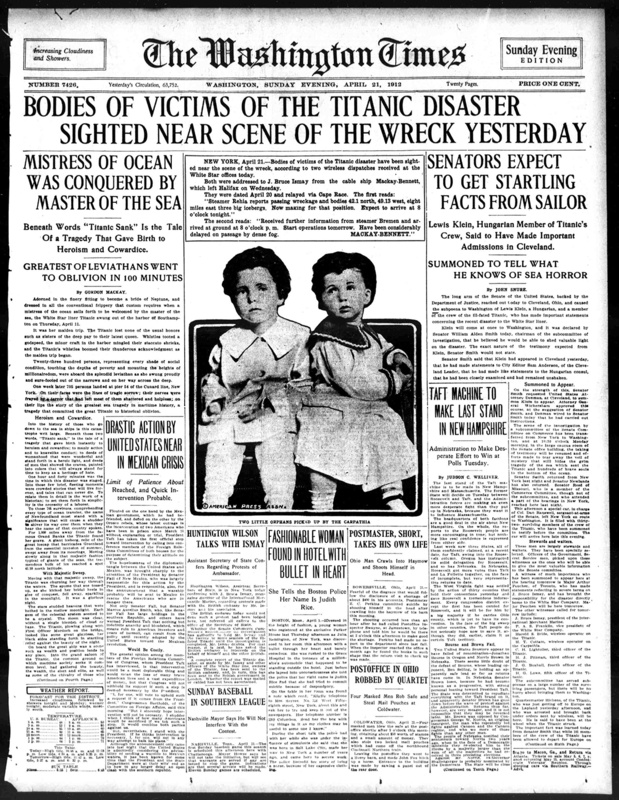 The widespread use of the telegraph and photographs enabled the Titanic tragedy to be quickly and widely—although not always accurately—reported. 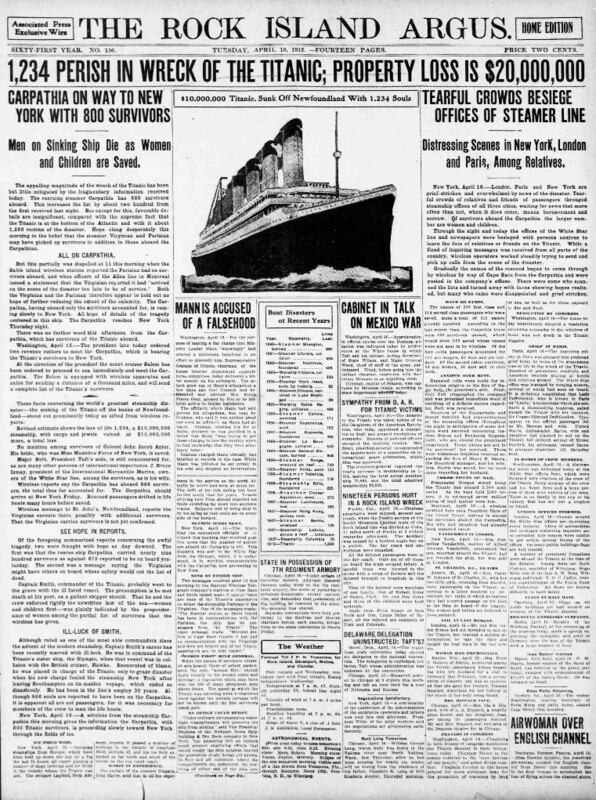 Emerging technologies presented U. S. newspaper publishers with the opportunity to aggressively pursue and dig into the Titanic tragedy in a way that newspapers had not attempted before. 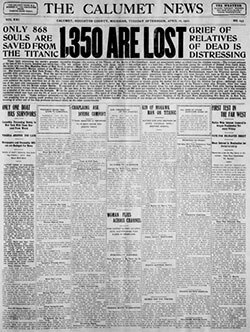 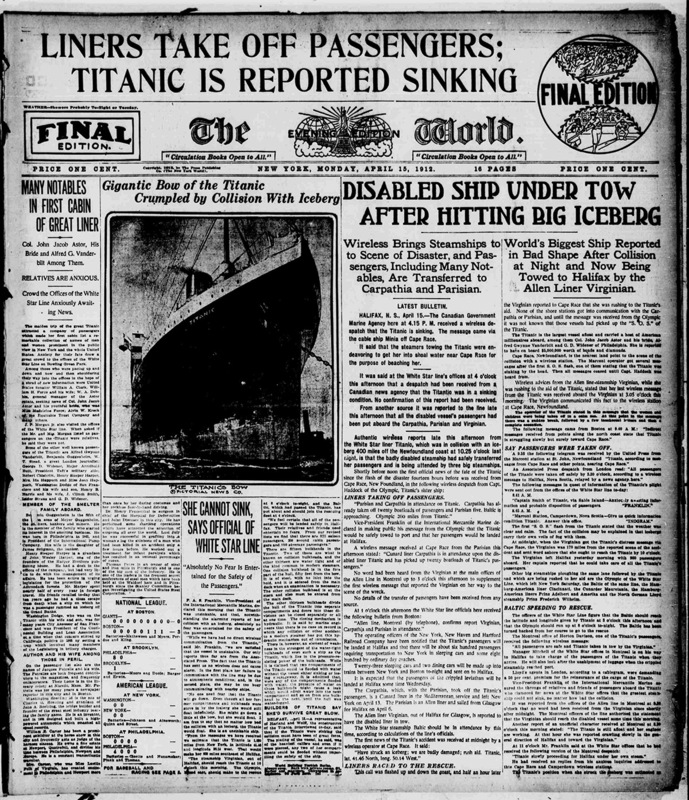 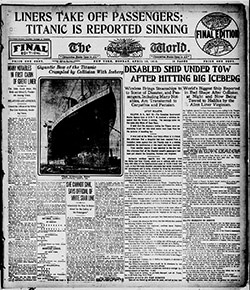 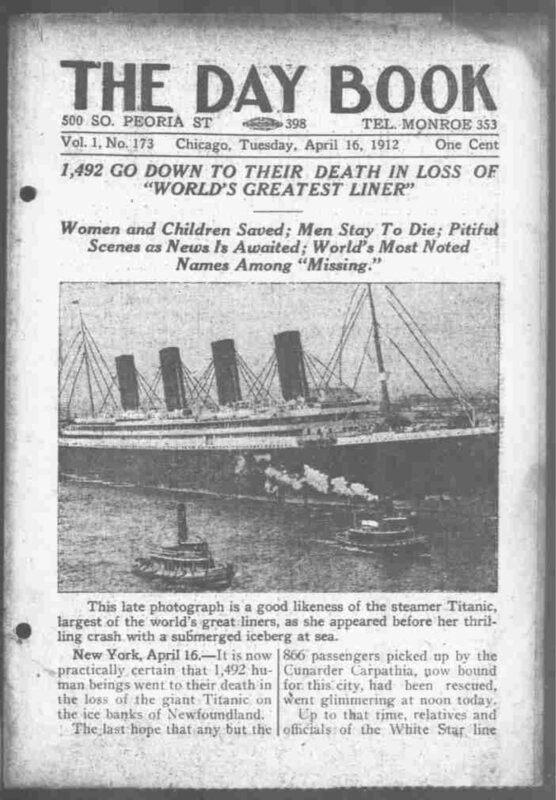 In fact, the Titanic disaster can be seen as a key historical event that pushed the newspaper industry to better exploit available and developing technologies. 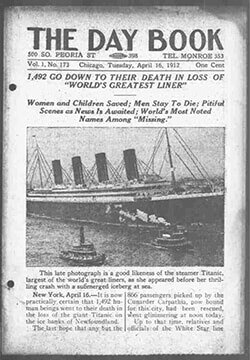 Innovative graphic design, scathing editorials, and dramatic photographs added up to one of the most poignant and widely reported peacetime maritime disasters of the modern age.